the Alberta Dental Association and College Fee Guide released 2019“. At South Family Dental, we are pleased to now offer financing options! This way you and your family can get the dental care they need. Dental insurance benefits are used to help our patients cover some or all of the cost associated with their dental care. At South Family Dental Care, we offer the convenience of direct billing to your insurance. You need to know that all dental insurance plans are not the same which makes it important for you to understand your specific plan details before your appointment with us. Most dental plans cover some, but not all of the cost of your dental care. The dental fees billed at South Family Dental Care for our services are the usual and customary fees charged to all our patients, whether you have dental insurance or not. Your specific policy may cover treatments and services at a fixed fee schedule, which typically does not coincide with our usual fees. In these cases, there the difference in fees not covered by your insurance company becomes your responsibility to pay and will be invoiced to you once we receive payment from your dental plan. 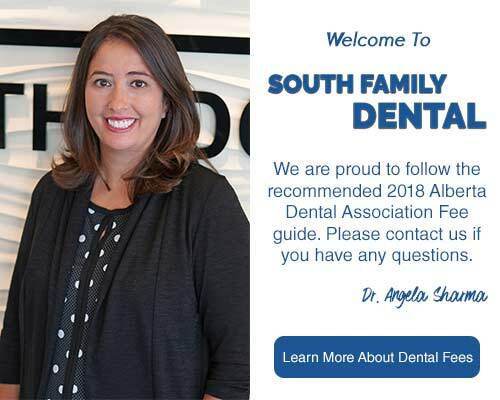 At South Family Dental Care, help our patients maximize their dental insurance benefits, and we ask our patients to please bring along a copy of their plan details in order for us to help you get the most out of your dental insurance. We also use this information to provide you with accurate estimates for your treatment. Are you putting off your health and the health of your family till you can afford the treatment cost? Wait no more. 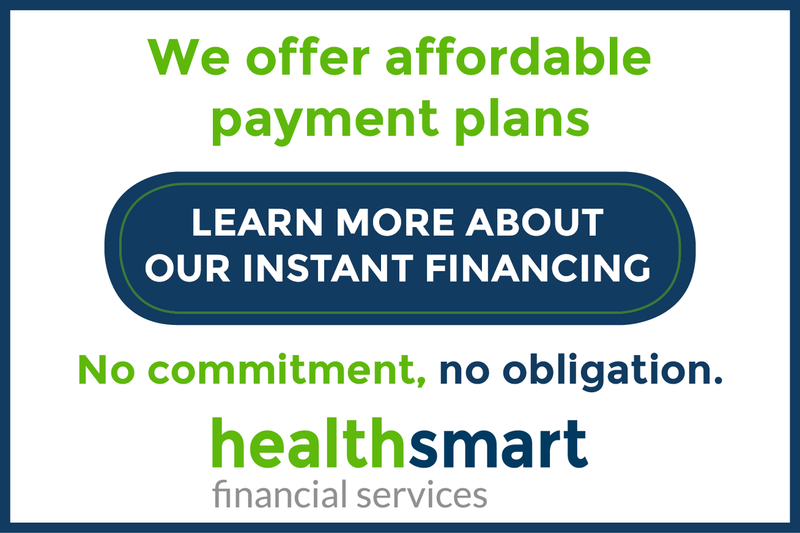 At South Family Dental we are pleased to offer you HealthSmart Financing as an alternative option, that way you do not have to wait to get the procedure you want to be done today! We are happy to provide a complimentary consultation to discuss your dental needs and to determine your financing arrangements. A] We require payment in full for your patient portion at the time of treatment. We accept MasterCard, Visa, American Express and Interac [Debit]. A] We bill according to the new fee guide released in September 2017. Every dentist in Alberta is required to set their own fee guide based on their education and training, skill, clinical judgment and experience while taking into account the practice overhead costs. Each Benefit Provider also sets their own fee guide, often having many different fee guides for their different policies. This is why it is difficult for us to give our patients the exact amount which will be their portion outside of what their benefits will pay. Some plans pay below our fee guide; some pay the same fees, and some would pay fees higher than our fee guide. If you have any questions about dental insurance or our payment methods, please call us at (403) 262-3235!